The Red Carpet Awards Show is hosted by actor, musician and funnyman, Frank Licari, who writes and directs this exciting, student version of the Oscars. WEST PALM BEACH, Fla. - Jan. 16, 2017 - PRLog -- The electrifying Student Showcase of Films (SSOF) Red Carpet Awards Show, presenting cash awards, prizes and scholarships to Florida students will take place on Friday, March 10, 2017, at the Keith C. and Elaine Johnson Wold Performing Arts Center at Lynn University in Boca Raton, Florida. The pre-show, red carpet festivities began at 9:30am with the live show to follow at 10:30am. Admission is free and the public is invited. Guests will have an opportunity to preview the award-winning projects in eleven categories selected from hundreds of entries. The talented group of students' hail from the finest film, television, graphic design and digital media schools, colleges and universities in Florida. Entries are judged by more than 40 industry pros from around the world. Students will accept over $12,000 in prizes in recognition of their winning entries. The SSOF is the largest student film competition and award show in the state. The live Red Carpet Awards Show is hosted by actor, musician and funnyman, Frank Licari, who writes and directs this exciting, student version of the Oscars. Legendary actor and Florida's favorite son, Burt Reynolds, graces the stage to present the coveted Burt Reynolds Scholarship. 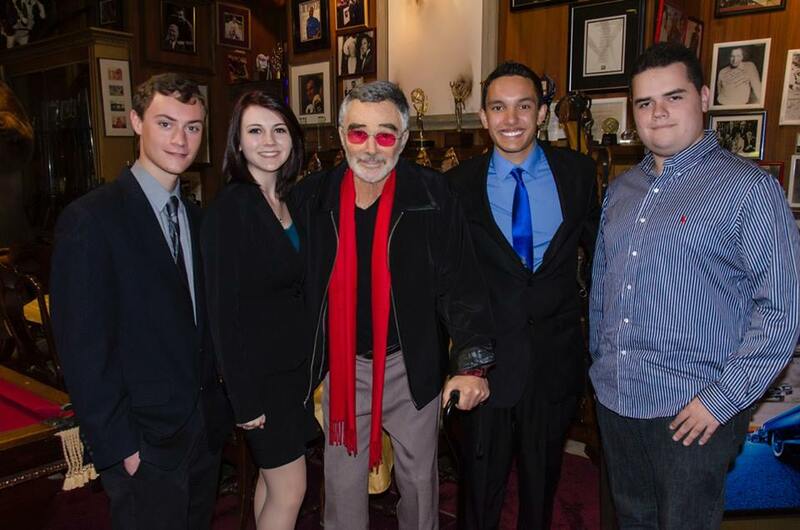 "The impact this event has on these young minds and the opportunity they are being given is priceless," said Mr. Burt Reynolds. "They need to know they can do it and that we support them every step of the way." The Palm Beach International Film Festival's Student Showcase of Films attracts more than 700 students and their families, along with celebrities, industry pros, media, state and country dignitaries, performers and more. For additional information or to RSVP to the Red Carpet Awards Show, contact the Student Showcase of Films at ccobb@pbfim.com, 561.233.1000, or visit www.pbfilm.com/student-showcase. For media inquiries please contact Enid Atwater at enid@thebuzzagency.net or call 855.525.2899.